The raucous and rollicking Finnish comedy HEAVY TRIP, about a small-town Finnish heavy metal band that blasts its way out of the quiet countryside for a big debut gig in Norway, is available now on VOD in U.S. and Canada and arrives on DVD packed with bonus features this November. In HEAVY TRIP, Turo (Johannes Holopainen) is stuck in a small village in the Finnish countryside where his greatest passion is being the lead vocalist for the amateur metal band Impaled Rektum. The only problem is that he and his fellow headbangers have practiced for 12 years without playing a single gig. 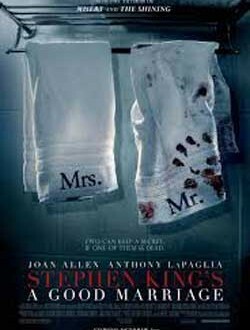 But that’s all about to change when the guys meet the promoter of a huge heavy metal music festival in Norway, and they decide that it’s now or never. Hitting the road in a stolen van with a corpse, a coffin and a new drummer from a local mental hospital in tow, Impaled Rektum travels across Scandinavia to make their dreams come true. Following its lauded U.S. premiere at this year’s SXSW Film Festival, an equally fiery Norwegian premiere two weeks later at Oslo’s Inferno Metal Festival, 2018 Fantasia Film Festival and its subsequent theatrical rollout in select U.S. cities, HEAVY TRIP is now playing on VOD platforms and coming to DVD beginning November 13, 2018. 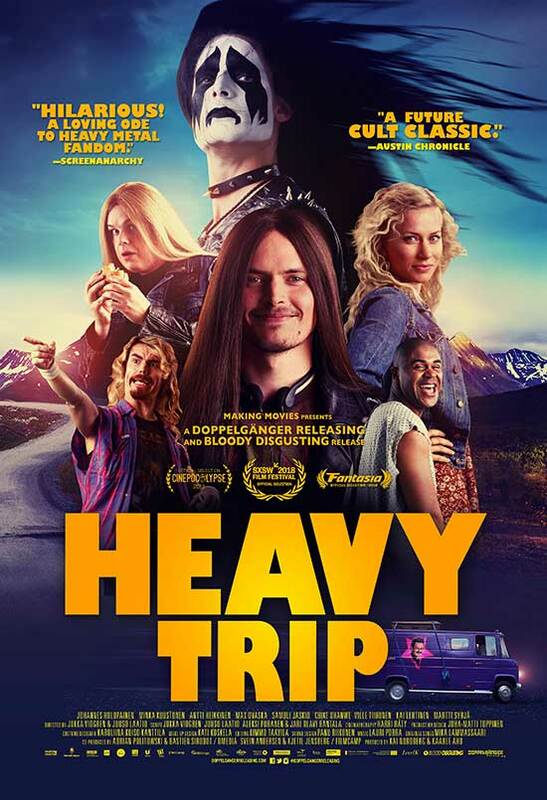 Helmed by first-time feature filmmakers Juuso Laatio and Jukka Vidgren, HEAVY TRIP is the first title scheduled for release under the new distribution deal between Doppelgänger Releasing, the genre label of Music Box Films, and Bloody Disgusting, the country’s leading horror genre website.